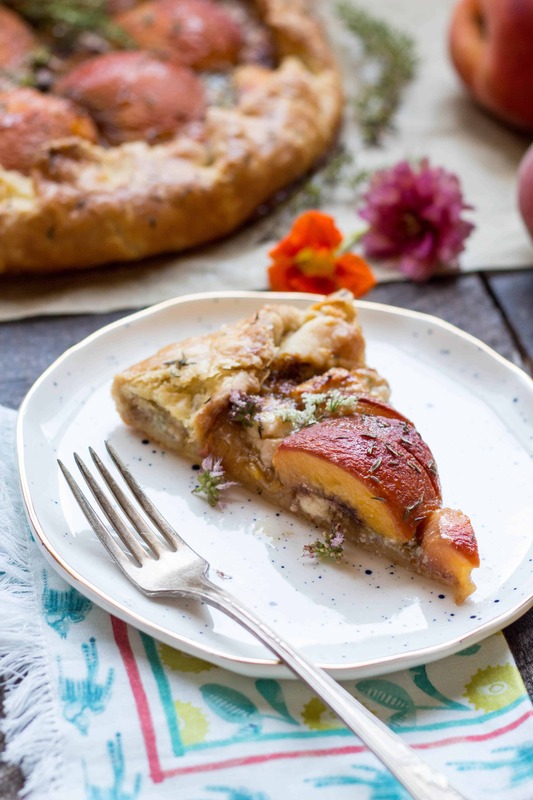 This gorgeous recipe for Savory Peach Galette with Blue Cheese + Caramelized Shallots is such a great way to celebrate sweet summer peaches! 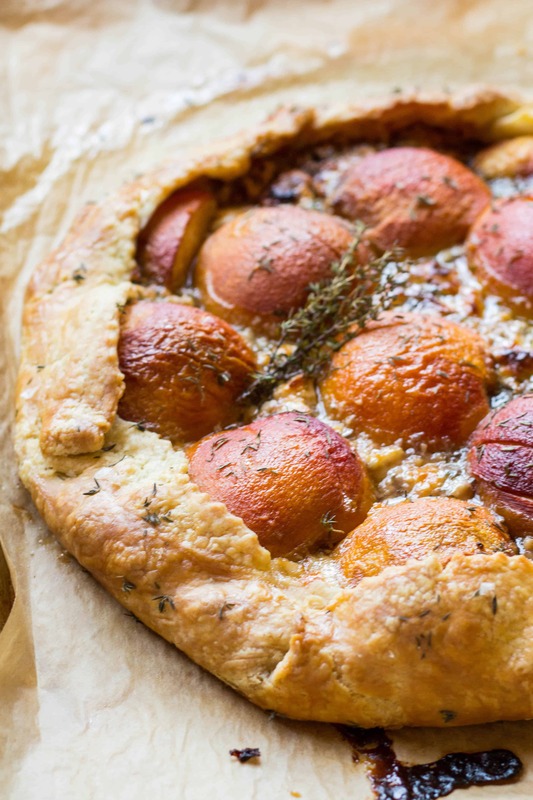 This savory galette is perfect as an appetizer, lunch, or side! Do you remember that song “Peaches” by that two-hit-wonder band The Presidents of the United States of America? Of course you do. It was a huge hit back in the 90’s. A few weeks ago I heard it for the first time in what felt like forever, and I was flooded with fond memories of summertimes past. It’s amazing how something as simple as a song can fill you with so much nostalgia and emotion. You know what else has the power to do that? 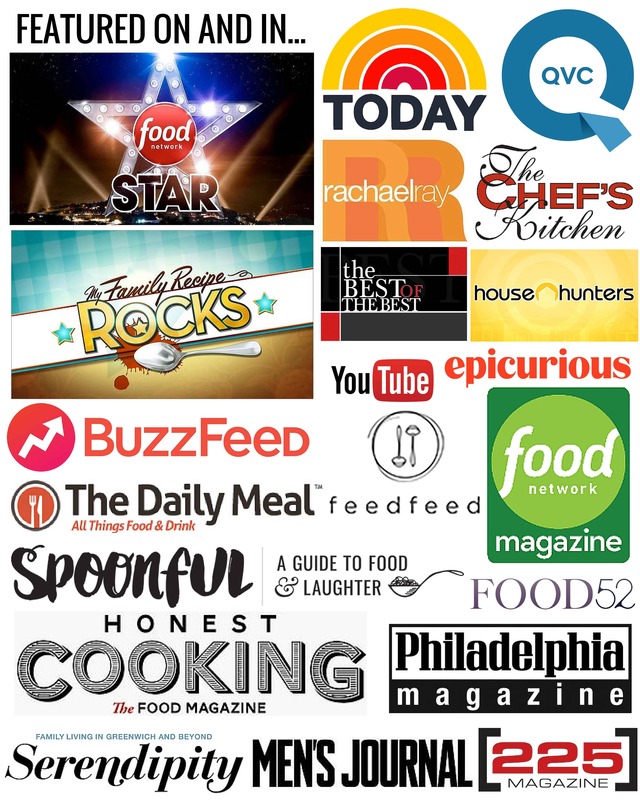 The wondrous sensation known as taste. The band’s name was certainly ironic at the time, but it’s crazy to think that just 20 years later, it carries even more lunacy and humor. If anyone said in 1996 that in 2016, Bill Clinton’s wife would be running for president against none other than Donald frigging Trump, we would have all had a good belly laugh and gone back to thinking the state of our government couldn’t possibly get any more ridiculous than what was currently happening with the whole Clinton-Lewinsky scandal. A lot has changed in 20 years. 9/11. The internet. Martha Stewart hanging out with Snoop Dogg. What does the future hold? No one knows, and I’m definitely not here to make any guesses or give my opinions on anything political (ever). What I am here to do is remind everyone that regardless of the uncertainty and the madness and controversy, there are a few things in our lives that will always remain constant. Although the quality and quantity will vary year to year, we can all be assured that every summer, there will be peaches. They will be juicy, tangy, sweet and fabulous, and they hold the power to make us forget, even if only for a moment, that the world around us is struggling. Peach season has been strong this year. I’ve been eating millions of peaches (ha! get it? 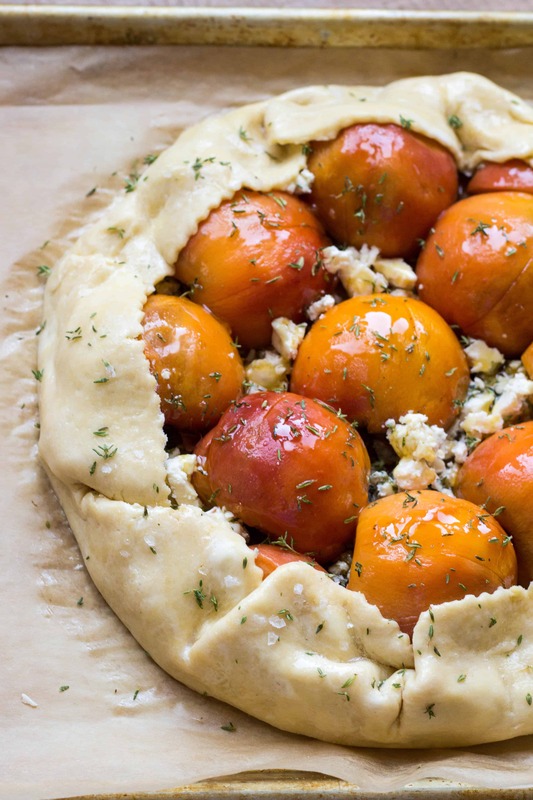 ), baking them into buckles and tarts and smothering them with burrata and balsamic. But not one application has pleased my palette quite as much as this stunner right here. Ain’t she a beaut? 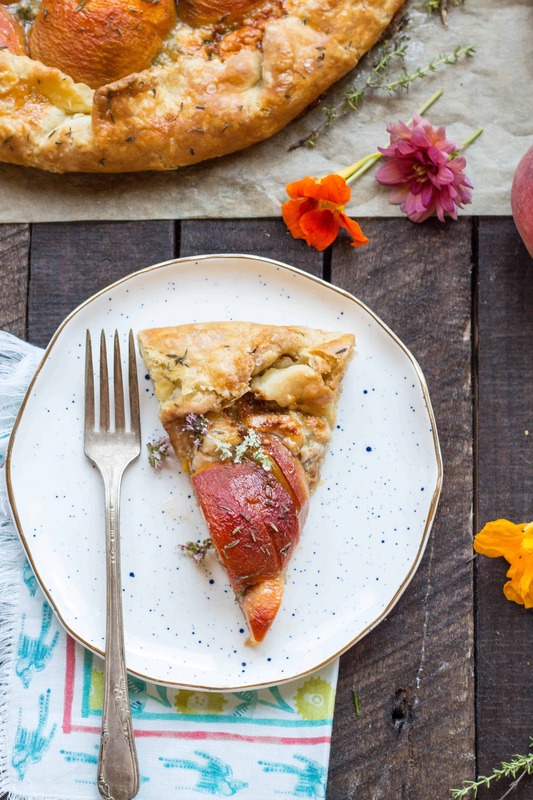 Sweet, succulent peaches get piled onto the butteriest of crusts along with tangy blue cheese and robust caramelized shallots for a rustic, savory tart that is best enjoyed with good friends and multiple bottles of cold, crisp Sauvignon Blanc. Perfect as an appetizer, perfect as a light lunch or brunch, perfect as an addition to a cheese course, and even perfect for a not-that-sweet-but-still-swoon-worthy dessert. It’s all around peach perfection. By the time this election happens, we won’t have any more peaches. But we’ll have memories of peaches, we’ll have songs about peaches, and no matter who wins the presidency, we can rest assured that come next summer, we will have more peaches. Fresh, ripe, blushing sunset orange peaches. Then move to the country, and eat a lot of peaches. To make the crust, start by mixing the flour, sugar and salt together in a bowl. Add the butter and use a pastry cutter or a fork to cut the butter into the flour until the butter is broken down into pea sized pieces. Whisk together the egg and two tablespoons cold water, then pour it into the flour mixture. Use a fork to stir the mixture until it just comes together, adding one to two additional tablespoons of water until it forms a ball. Do not knead the dough or mix any further. Wrap the ball in plastic and refrigerate for at least 30 minutes prior to rolling out. Melt the butter in a medium saute pan over medium heat, then add the shallots and saute, stirring frequently, until lightly caramelized, about 20 minutes. Season with salt and pepper and allow to cool. 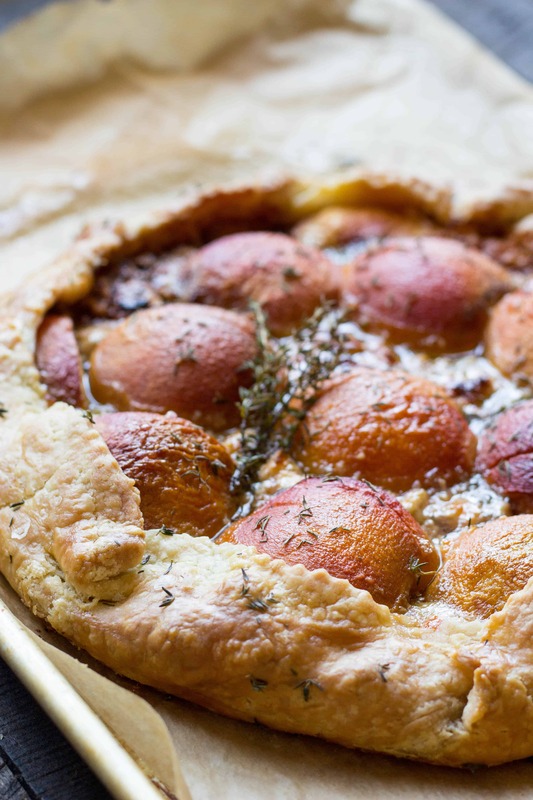 While the shallots cook, bring a large pot of water up to a boil, prepare an ice bath, and lightly score an X on the bottom of each peach, being careful not to cut too deeply into the flesh. Drop the peaches into the boiling water for about 30 seconds, or until the skin begins to peel up from the cut ends. Remove from the water and immediately submerge into the ice bath. Once cool enough to handle, the skins should peel off easily. Cut the peaches in half and remove the cores; set aside. Preheat the oven to 375 degrees. Roll out the dough to a roughly 12" circle and carefully transfer to a parchment lined baking sheet. Smear the dijon mustard around the center of the dough in an even, thin layer, leaving a 2 inch border around the outside. Spread the cooled caramelized shallots evenly over the mustard, then crumble the blue cheese and scatter it around. 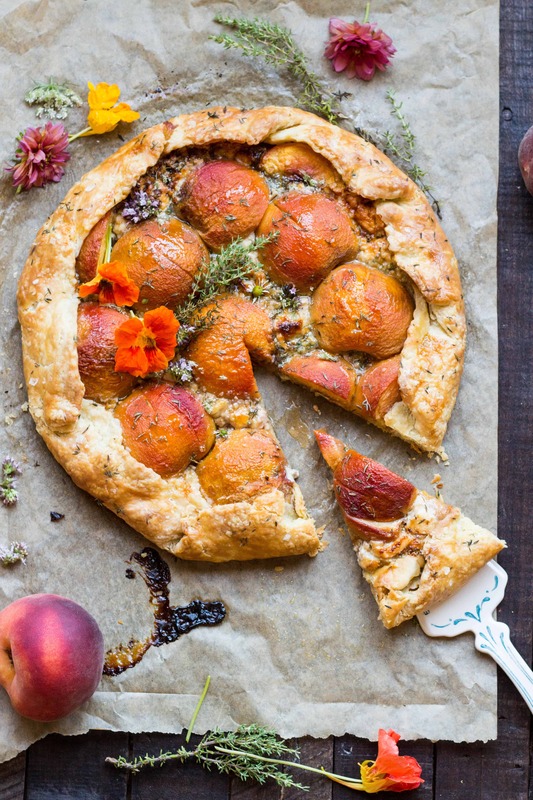 Arrange the peaches cut side down in an even pattern, leaving some room around each and reserving the prettiest ones for the center. 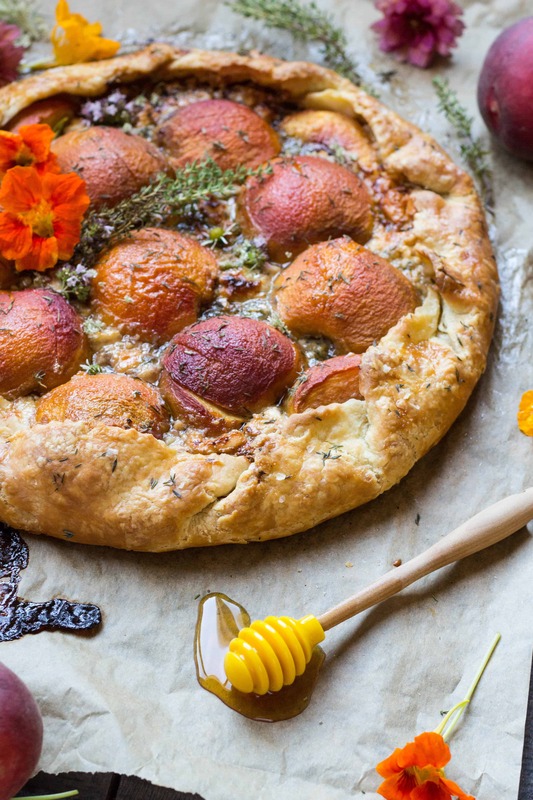 Drizzle honey all over, then gather and fold the dough up around the sides to enclose the filling. 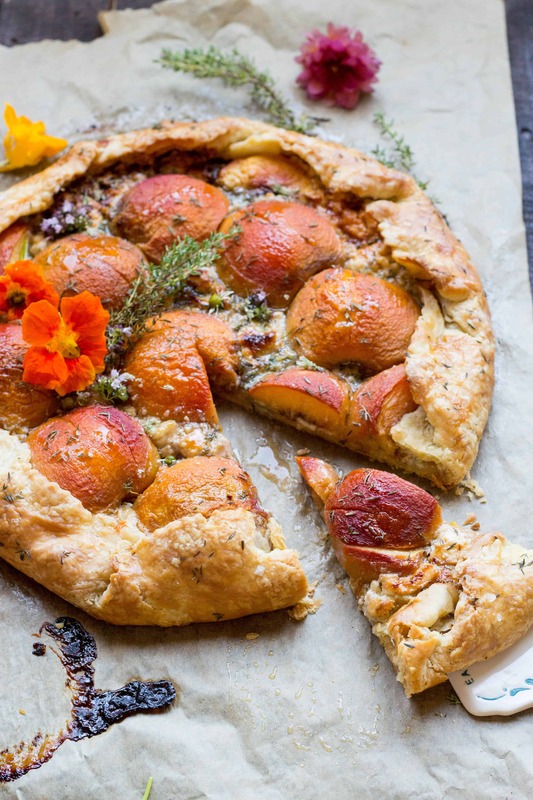 Brush the exposed dough all over with egg wash, then sprinkle the thyme all over the filling and crust, then lightly sprinkle flaky sea salt over the crust only. Bake until the crust is golden brown and the filling is bubbling, about 45 minutes to one hour. Allow to cool at least 30 minutes so that the juices to firm up. Serve warm or at room temperature, with extra honey drizzled on top if desired. 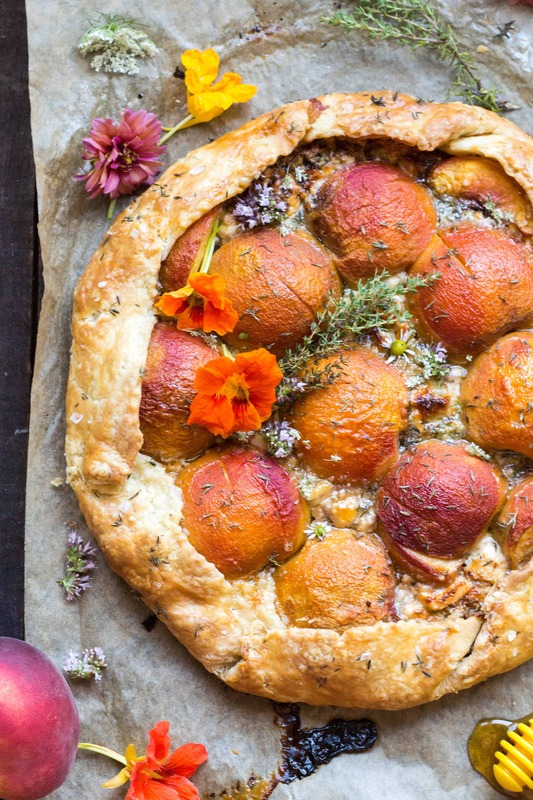 Ooh, blue cheese, peach and shallots, this sounds lovely. Thanks for sharing. Thanks!! It was really yummy. Can’t wait to make it again next year! So awesome! I have a wheel of brie in my fridge I’ve been looking for something to do with. Peaches might just be the ticket! I have had my eye on this all summer! It was perfect to make on this rainy Saturday morning. Sooo delicious!